Are your “knees well protected” ? Are your knees well protected ? Knees play a vital role in daily life. Though they may seem unimportant, Our knees are highly related to our health. Whether walking or running most exercises would accelerate wearing away of this vital joint. Even the damage caused by overused muscles can result in early degeneration of the knee joint as well. What is important is that in addition to the gradual joint degeneration deriving from aging. Poor postures in everyday life or overused knees can lead to knee injuries. Therefore we need to put more emphases on our knees’ care when we are young and the Vital Salveo knee sleeve is definitely one of our best choices. In recent years, road running has become a very popular sport; however, insufficient muscle strength or flexibility can cause knee injuries. For those who love jogging and often participate in road running, they may suffer lateral knee pain (burning sensation) or discomfort after running for a long time. The pain is especially severe when bending and eventually they may not be able to run again because of the so-called iliotibial band syndrome (ITBS) when the condition is getting really serious. During exercise, the knees can also be damaged by improper form or existing injuries. Once the knees are damaged, it is very hard to recover. The knee sleeve can effectively mitigate the damage during the exercise and prevent injuries. The degenerative joint disease that can usually be seen in middle and old age is one of the most common knee diseases. The probability of having this disease is in direct proportion with your age. As you age, it is more likely that you’ll suffer from this disease. With aging and accumulated wear, the symptoms are sometimes relieved and sometimes severe. And overuse or excessive exercise within a short period can cause or worsen symptoms. In order to delay joint aging, besides seeking treatment from a doctor, you may also exercise moderately, take a walk or do various exercises for joint flexion and extension and muscle trainings when sitting or lying down. What are the points of choosing an appropriate knee sleeve? Actually, the principle of wearing a knee sleeve is quite simple: to prevent excessive wear on your knees. Since the knee sleeve can duly mitigate the burden on the knees during exercise, how should we select a product that can fit our demands best from hundreds of options in the market? First of all, sufficient coverage. The knee sleeve with great coverage is ideal for users with the habit of mountain climbing, jogging or brisk walking or patients with slightly swollen knees. One of the main functions of this type of knee sleeve is to disperse pressure and reduce impact so they can be absorbed evenly by each part of the knee instead of by the medial knee completely. Vital Salveo- 3D Knit Knee Brace S-SUPPORT, a classic knee sleeve, can completely cover your knees. Secondly, the support. Provide partial support to knees through the support of a knee sleeve. This kind of product is ideal for patients with ligament sprains. 3D Knit Knee Brace S-SUPPORT, ST3 and S PRO from Vital Salveo come with a unique 3D frame including several high tension fibers to provide excellent support on both sides. Thirdly, the comfort. The knee sleeve should fit over your knee snugly, while not too loosely or tightly. Wearing a knee sleeve too tightly can lead to a cold or swollen knee resulting from poor blood circulation. A knee sleeve with suitable size should leave no marks on your leg. Since we all have different leg sizes, it is better to select a knee sleeve coming in several sizes. 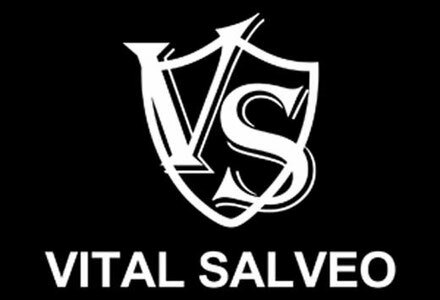 Vital Salveo provides knee sleeves in various sizes, from S to 2XL. Fourthly, the breathability. This is also one of the key points when selecting a knee sleeve. You may feel hot and sweat especially when wearing a knee sleeve with great coverage. A highly breathable knee sleeve can effectively reduce the possibility of allergy and inflammation. Besides not feeling hot anymore, a highly breathable knee sleeve can also provide great coverage. The knee sleeve from Vital Salveo adopts 3D weave and its mesh structure provides high breathability. Fifthly, the protection. Some knee sleeves provide protection along with the coverage. A knee sleeve with embedded soft pads can mitigate the impact from external force and fully protect your knees. Vital Salveo-3D Knit Knee Brace S PRO-PRESSURE PAD, the product is ideal for patients who have experienced knee surgeries, comes with pressure relieving gel pads around the patella and can effectively prevent collision as well as massage the knee. How to protect your knees? Besides selecting an appropriate knee sleeve, it is also important to wear it properly. Though wearing the knee sleeve can maintain the stability of your knee joint, don’t forget that it’s no more than an assistive tool. The knee sleeve can limit the movement area of patella and keep it glide at a certain level. However, you should not wear the knee sleeve for too long. It is recommended to wear it for 30~60 minutes and take it off for a rest for 10~15 minutes according to your physical condition. Please wear the knee sleeve when you need to exercise your legs excessively. Wearing it for a long time may lead to the opposite effect instead.